452 people are injured in clashes between protesters and police during an anti-government meeting in Bucharest, Romania. 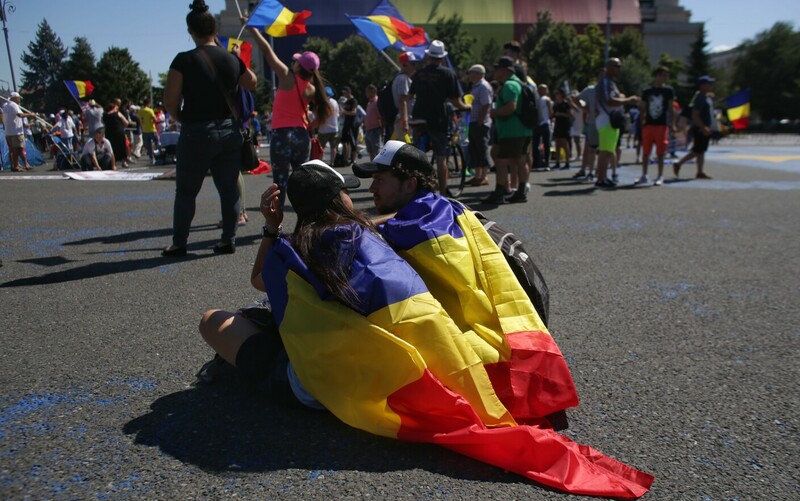 2018-06-9 Over 100,000 people participate in a large protest in Bucharest, Romania, against apparent judicial abuses and "illegitimate interference" of the secret services in the political and judicial systems. The protest was organised by the governing Social Democratic Party and supported by other political parties. 2017-09-30 A fire at a retirement home in Bucharest, Romania, leaves one person dead and 19 others injured. 2017-05-26 The Turkish government issues an arrest warrant for NBA Oklahoma City Thunder player Enes Kanter suspected of being a member of a "terror group." Kanter, a vocal supporter of Fethullah Gülen, was returning to the U.S. from a charity tour when, last Saturday, he was detained in Bucharest, Romania, because his Turkish passport had been revoked. Kanter says he plans on becoming a United States citizen. 2015-10-30 At least 27 people are killed and more than 180 hospitalized with injuries after a fire in a nightclub in the Romanian capital Bucharest. Officials say a heavy metal band's pyrotechnical show sparked a fire inside the Colectiv nightclub. 2015-03-31 An incident at a shooting range complex in Bucharest, Romania leaves two people dead.